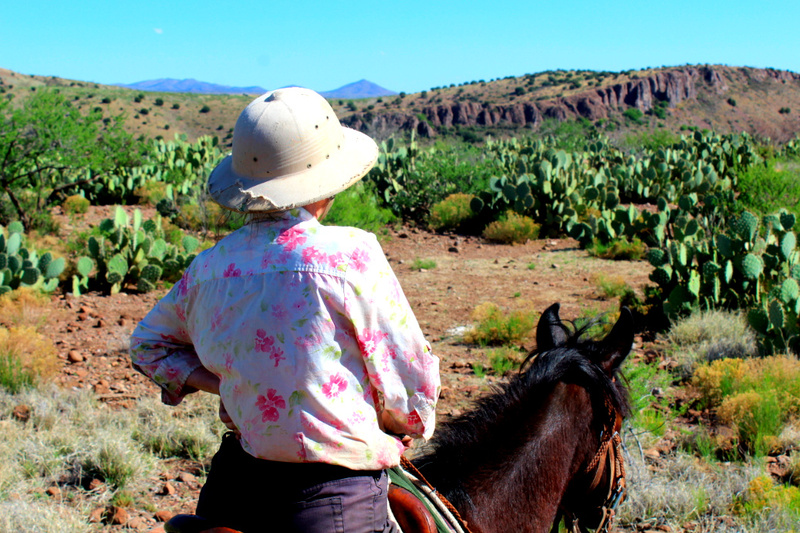 Between Black Jack and Rustler Creeks, in the shadow of the prickly pear mesa lies the prettiest ranch I ever did see – Cold Creek Ranch. 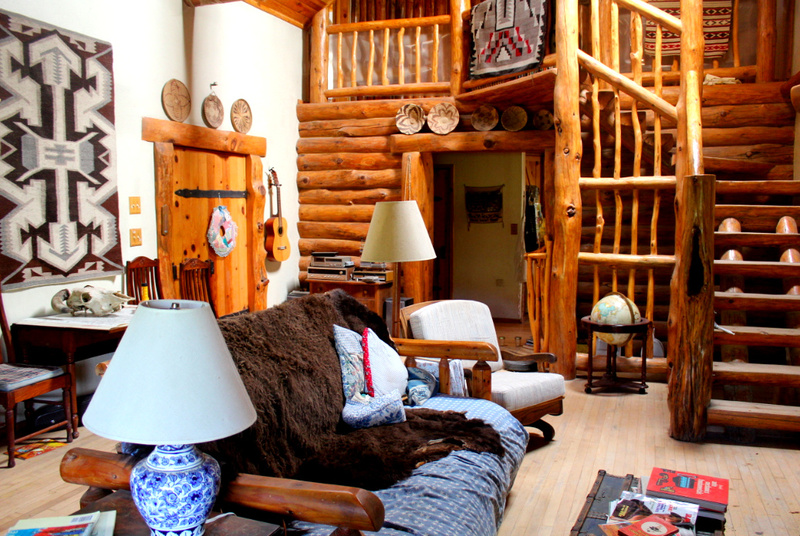 The outside of this huge ranch home doesn’t betray the treasures within, and I literally mean treasures as the house is crammed full of pieces from all over the world that Eric and Jean have brought back from their many years of wandering. 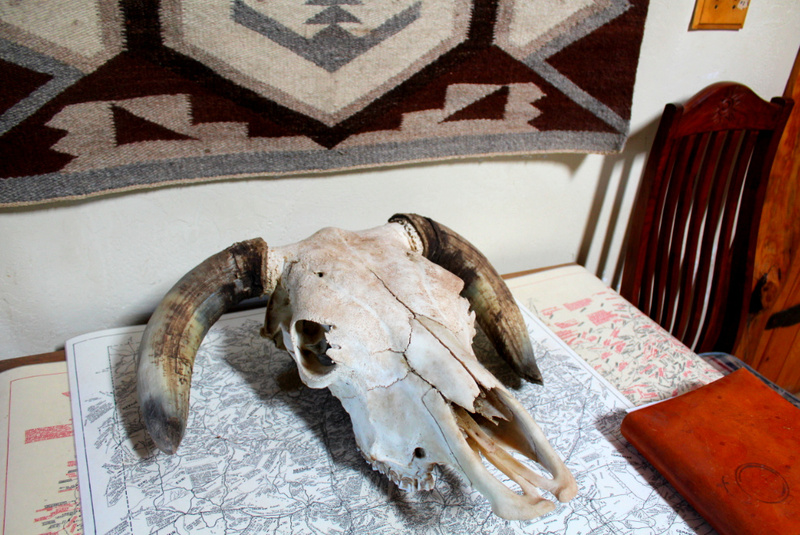 Downstairs in the living room the sofa is covered in a giant bison hide and cow skulls sit broodingly by. 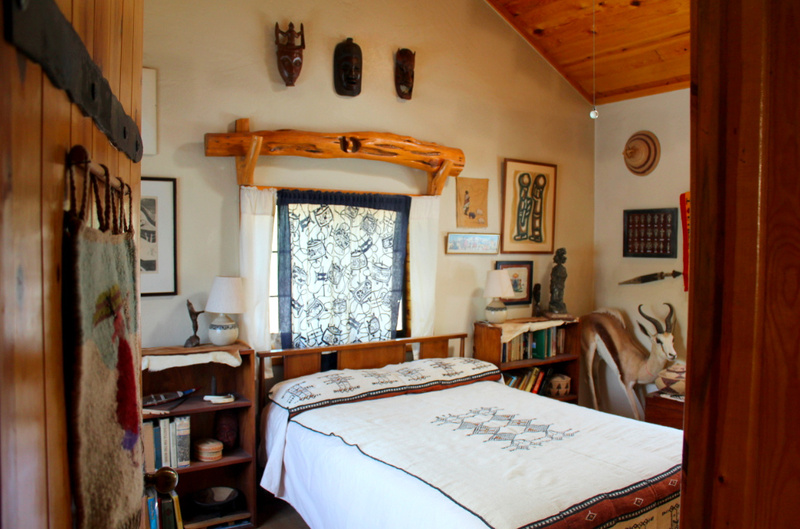 A stuffed springbok makes a friendly bedside companion in the Africa room – so thoughtfully decorated that it even comes complete with the whole series of The No. 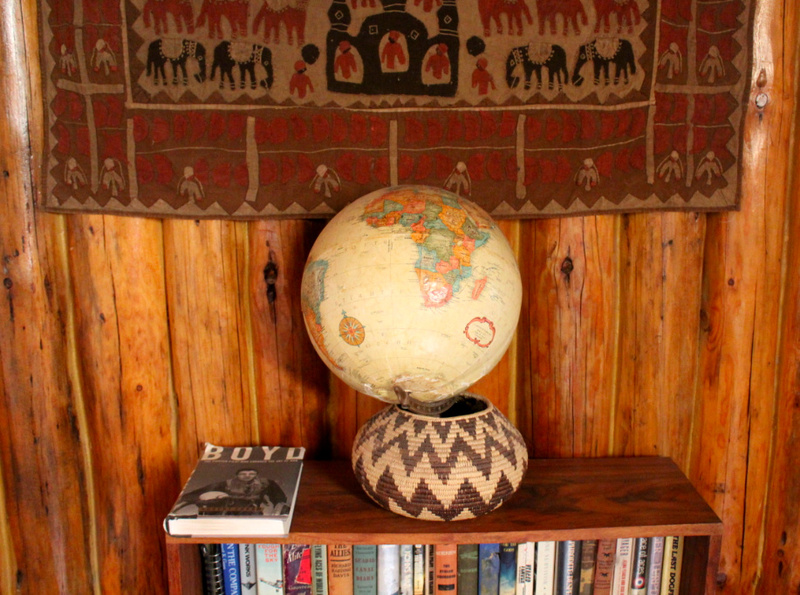 1 Ladies Detective Agency – the delightful books about a Botswana lady detective. The house is a living history of the different memories of this family, and you could spend hour upon hour gazing at the many pieces and asking where they came from. One of my favourite places at Cold Creek Ranch is the tiny rustic wooden tack room – also a favourite for Border Collie Jeff who loves nothing more than to hang out and sleep under the saddles. There’s something about this home made tack room that just makes you feel happy, whether it’s the saddles and bridles – the promise of adventures to come – or the lingering scent of oats, beer and molasses in the air (and on the nosebags!) Either way, every day on the ranch starts here at 5.30am with the feeding of the horses. The beautiful bay part Arabian Smoky was my favourite of their horses, with his soft dark fur and long black mane, he was a real stud. However all the horses here at Cold Creek have their own individual personalities and merits. From the the tiny mustang Emma Grace with the huge heart to the sleek and lightning fast Quarter Horse Seago – there’s a horse for everyone, and beautiful land to ride on. 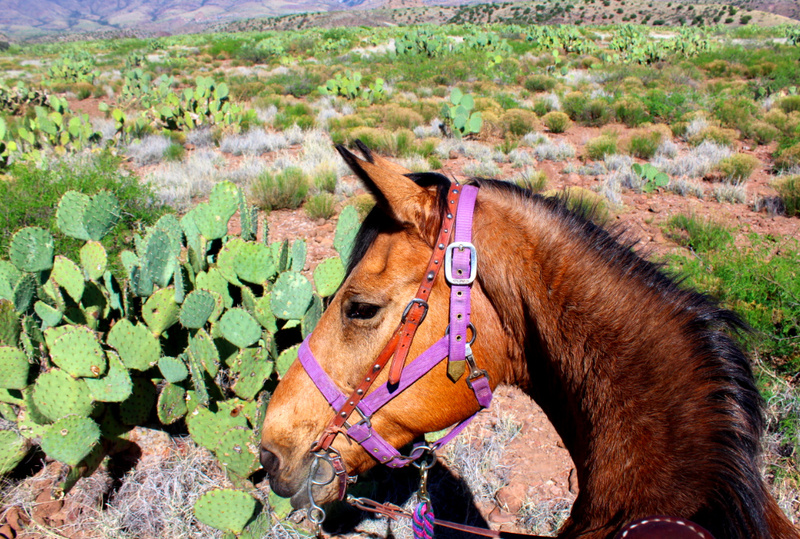 I loved riding atop the prickly pear mesa where you dodge around cacti at a leisurely gait overlooking the world. 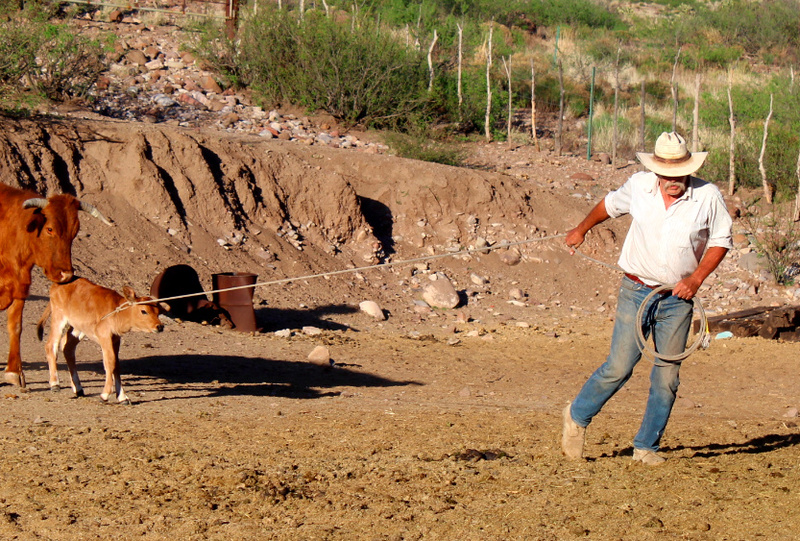 This isn’t a guest or dude ranch, it’s a working ranch so depending on when you’re staying at the ranch, you could witness and take part in a number of different activities. Sometimes it could be nothing more than shoeing horses while other times it could be rounding up cattle, moving cattle and branding and vaccinating too. As it’s a working ranch, you fit in with the ranch schedule which in my opinion is a lot more real and exciting than just being demonstrated the different activities as if you were in a circus. Ranchers learn young, and Cold Creek is no exception! 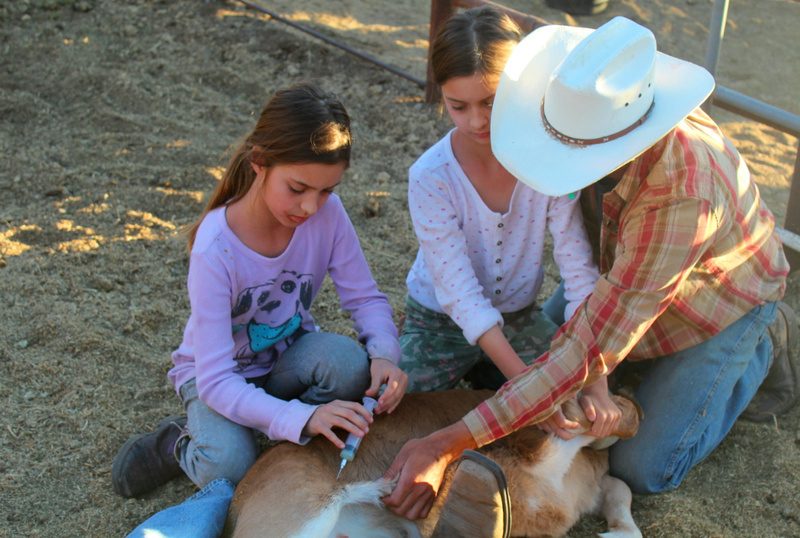 10 year old twins Emily and Ally were totally unfazed by the calves and calmly helped with vaccinating under their father Keith’s guiding instructions. If you happen to coincide your visit with branding and castrating time – make sure to try the famous ‘mountain oysters’! Cut fresh from the calf, the balls are thrown into the branding fire and are ready to eat. Another big event at any ranch is auction time, whether the ranchers are buying or selling. 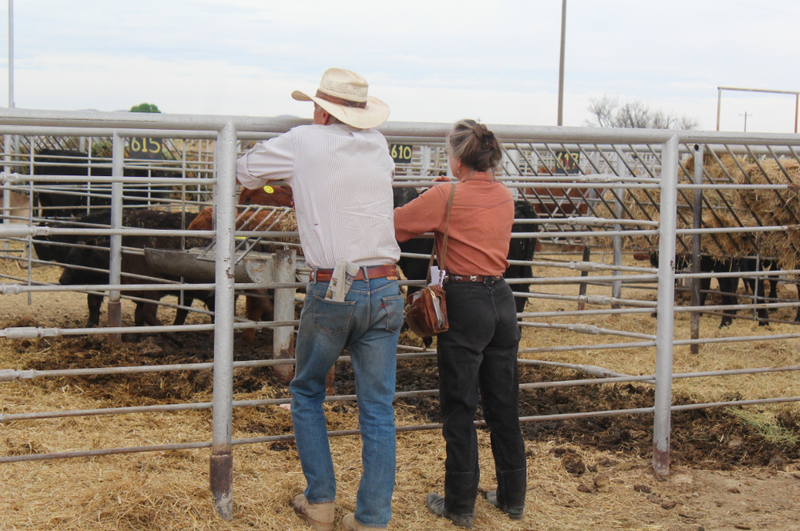 As Cold Creek has its own abattoir and packages and sells all its own beef (Double Check Beef), there’s not much selling to do, however they may often be on the lookout for a new bull or cow. Willcox Auction House is a definite experience, from watching the pen riders beforehand to sizing up the stock and horses for sale to the auction itself. 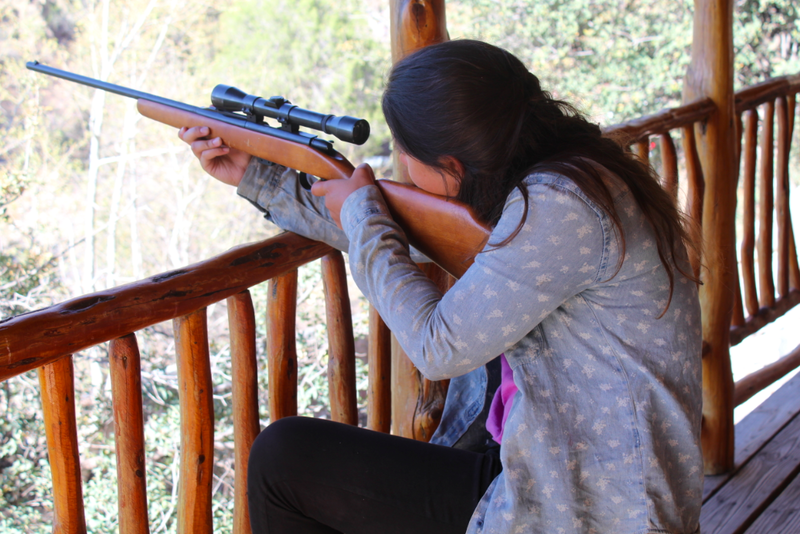 Though not strictly part of ranch productivity, every good rancher needs to know how to shoot, whether to catch something tasty to eat with a little game flavour or to protect yourself from a mountain lion. 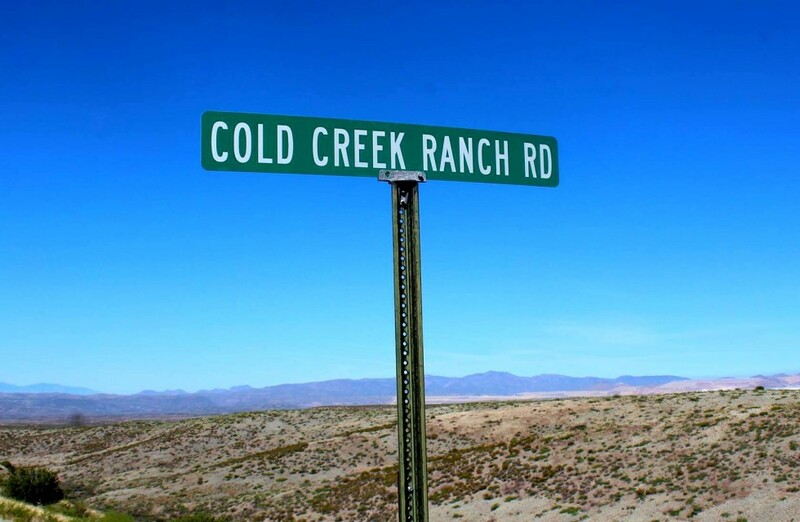 Cold Creek Ranch is the perfect place to learn! Eric has one of the most impressive collection of guns I have ever seen and is a wonderful instructor. If you have your own firearms you are welcome to bring them along for target practice and the old wooden porch is the perfect place to shoot from. If you’d like to know more, I wrote a separate post on shooting at Cold Creek. It’s all about breakfasts and dinners here at Cold Creek Ranch, and boy are they good! Jean is without a doubt a formidable cook and the meals will be a highlight of your stay. I made sure to write down all my favourite recipes before I left but I’m sure that my attempts won’t live up to the real deal. Breakfasts range from oatmeal pancakes to Dutch hats and breakfast casseroles – every day it’s something new and the quantities are hearty enough to see you through the long ranch day. Dinners are an explosion of flavour and draw from different cultures for a true Western experience. From all American pot roast and meat loaf to Pozole and chicken and chorizo stew from across the border in Mexico. Jean is hands down the best ranch chef around – I only wish I had taken photos of the food (I was too busy eating clearly). If you have some spare time and a car, there’s a lot to do around the area. 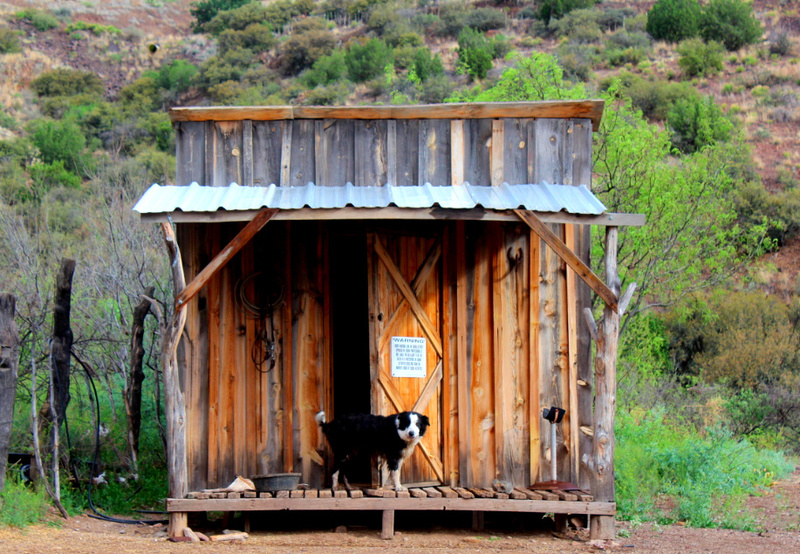 Duncan and Clifton are both charming Frontier style towns and though a mine isn’t the most obvious tourist attraction, it sure is a sight to be seen. Morenci Copper Mine is the largest mine in North America and standing at the lookout point above feels like you’ve left this world and traveled to Mars. Desolate red earth for as far as the eye can see with giant trucks dwarfed by the pits and mounds. Germaine’s Emporium – you’d be missing out if you didn’t make a trip to Germaine’s in Duncan, an emporium filled with the biggest and most unusual range of objects you never knew you really wanted. From antique music scrolls to native american wooden dolls and everything in between. Make sure to check out the ‘boot room’ where you can find the best value 2nd hand boots around. I paid $20 for a pair of beautiful leather Tony Lama boots! Clifton Miniature Houses: if you drive around Clifton you’ll no doubt see a number of miniature houses in people’s backyards. These are the remains of a film set and together make up a whole town, complete with sherriffs office, saloon bar, mill and actual houses too. I have yet to find out which film they were used for but I will keep digging. In the meantime they are pretty wonderful to check out. Silver City New Mexico – if you’ve got some free time and fancy a taste of something different, then the self named ‘Land of Enchantment’ state is really very close. New Mexico has a completely different feel to Arizona – everything from the architecture (colourful adobe houses) to the spicy Mexican style food feels a world away. 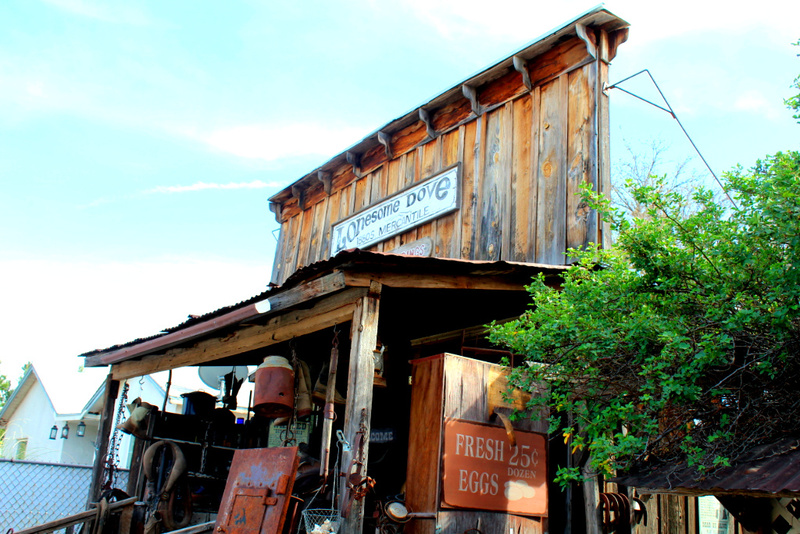 Downtown Silver City is truly charming and well worth a trip while staying at Cold Creek. Check out my post on Silver City for more info. Willcox Big Text Bar – B – Que. I wouldn’t usually recommend Texan food in Arizona, but the location is everything here! 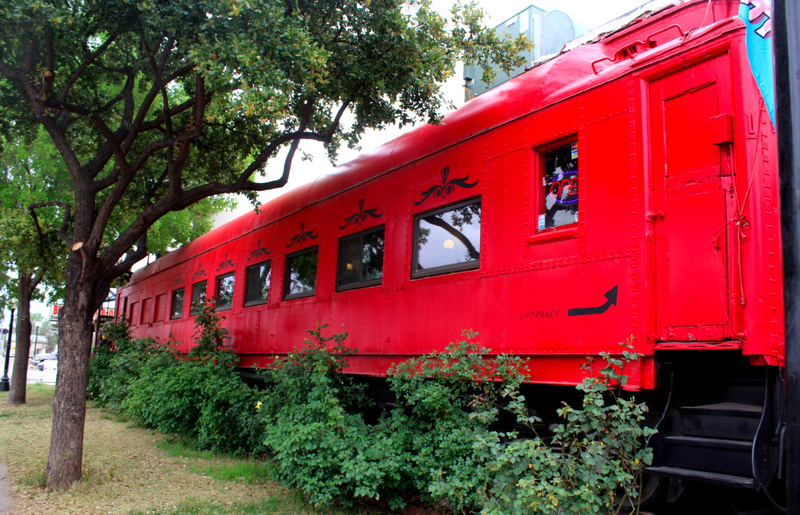 How often can you eat in an old train carriage?! The food is pretty good too, so it’s a good all round experience, especially if you already happen to be at the auction house. 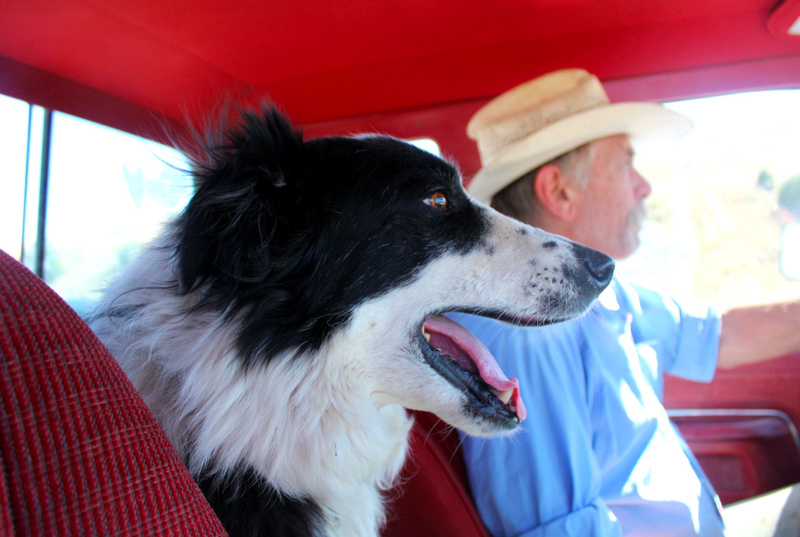 Cold Creek ranch is owned and run by the Schwennesen family – Eric and Jean, their ex-military sons Paul and Keith and the animals – border collie Jeff, cats – Fizzy, Fuzzy, Yoda, Barnie and Sinbad and the many chickens who produce the prettiest eggs! This is a family that has roots across the United States and has also moved around the world and as a result they have a wealth of different experiences and interesting tales to tell. Staying here isn’t like staying in a hotel, it’s being a guest and becoming a friend of the family. Sitting around the table at dinner listen to Eric reminiscing about Jean trying to train her rabbit or looking at old family photos, it certainly feels like you’ve made friends for life. 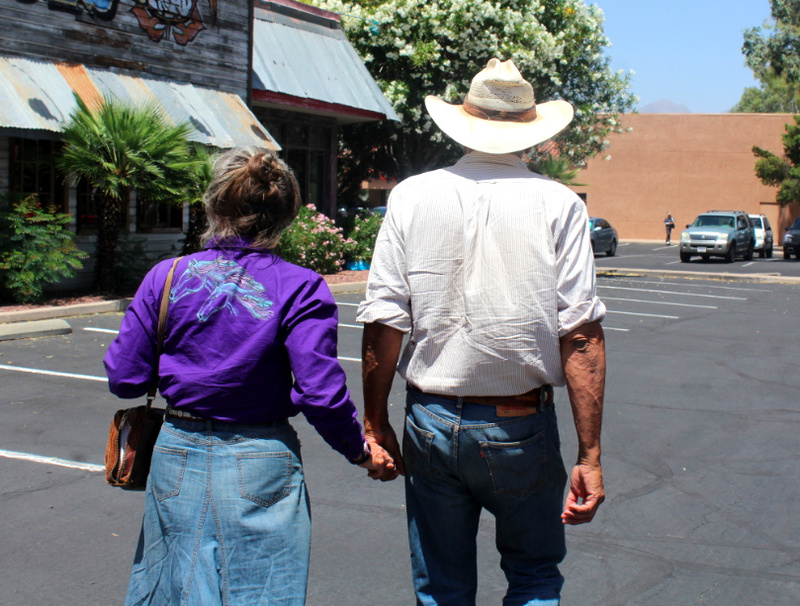 The mission of the family is more than that of your every day cowboy too, as they seek to produce humane and sustainable beef by managing their small scale ranch in a holistic and sustainable manner, conscious of the environment and hoping to improve the land they live on. Eric has moved all around the world (Pakistan, Lesotho, Somalia to name a few) working for the World Bank and US AID as a specialist in land sustainability. One of his and Jean’s personal projects has been awareness of rock dams and their benefits on minimising soil erosion. Though I only spent one afternoon making rock dams, their presence is all across their land and I certainly learnt a good deal about them. 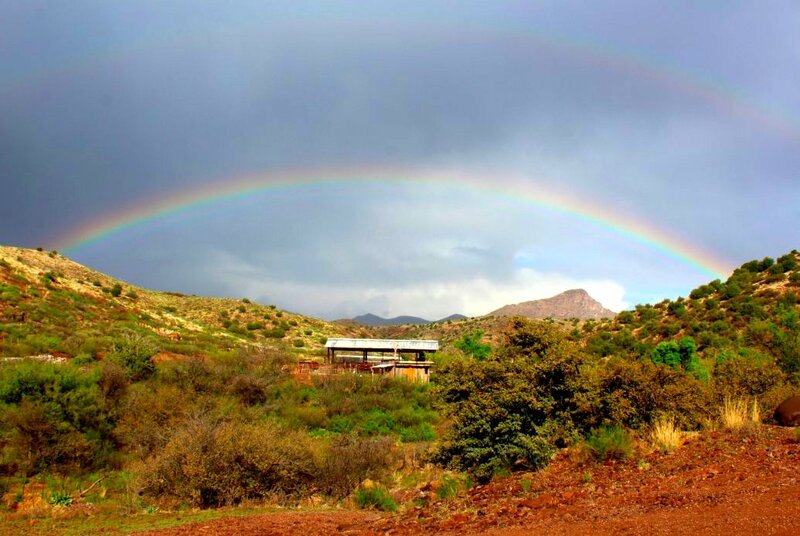 A stay here isn’t your every day ranching experience, it’s above and beyond. What more could you want? I want to go to the train BBQ! But maybe admire it from afar…. What a wonderful and informative website! I loved seeing the pictures of my college roomies. Definitely makes me want to come for a visit.